It was a bumper year for agents raising money for charity in 2018. 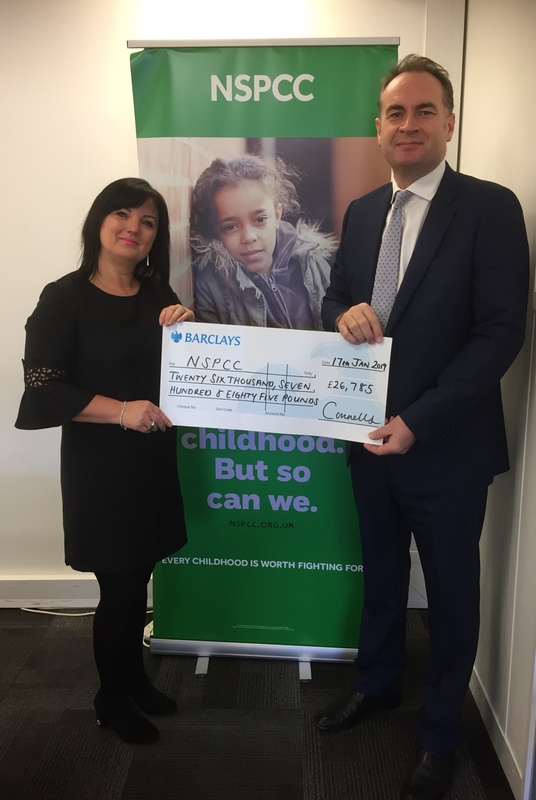 National estate agency Connells has reported raising almost £27,000 for the National Society for the Prevention of Cruelty to Children (NSPCC) from events including the annual Connells Partners’ Ball, branch bake sales, company dress down days and the 2018 Gherkin Challenge – where over 50 members of staff took on the 1,037 steps of the London landmark. A cheque was presented to the NSPCC by Connells Group chief executive David Plumtree at the agency’s head office in Leighton Buzzard. This figure goes towards the £136,537 raised for the charity over the course of the 16-year partnership. 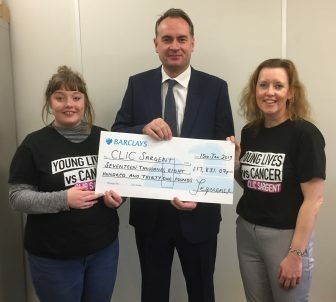 Meanwhile, Connells estate agency network brand Sequence raised almost £18,000 in 2018 for cancer charity CLIC Sargent. This marks the second highest fundraising year to date for the partnership which Sequence has been supporting since 2001, raising in excess of £421,578 in total. Support came from various fundraising activities including from personal challenges like Tough Mudder UK and Prudential Ride London to staff initiatives such as branch bake sales, dress down days, toy drives, a much-loved Christmas Jumper Day and the company’s annual Partners’ Ball. The business also raised almost £10,000 from its Sequence Summer Solstice Skydive event in June, which saw 20 staff take to the skies in aid of CLIC Sargent. Agents are already gearing up to raise funds for charitable causes during 2019. Strutt & Parker agents Matthew Hague and Oliver Ainsworth from its Ipswich office are in training for the Devizes to Westminster International Canoe Race 2019 to raise money for local charity the Suffolk Community Foundation. They have to paddle 125 miles in less than 30 hours with no sleep. Meanwhile, if you feel like getting your hands dirty to raise money for charity, Agents Giving is looking for participants for its 2019 Love Mud Challenge. This challenge is a 7km gritty and very muddy race over natural and man-made obstacles to test all levels of fitness so everyone can take part. Obstacles include slides, zip-lines and 120m gorilla bars. You choose how many and which obstacles your team takes on. Gary Barker, managing director of Reapit and director of Agents Giving, said: “This year’s Love Mud Challenge is set to return to test the industry and is a great way to get fit this year. It takes place on May 19 in Essex. Teams of four cost £1,000 or £250 per person, which will include an entry deposit fee to initially secure your place. All fitness abilities can enter, and the minimum age to take part is 13. Well done to everyone! Great teamwork and effort from all to raise money for great causes. We have raised over £150,000 in the last 2 years for CRUK and it is a lot of work and dedication.